This is actually a side-product, because in the end I want to write a cross-platform wxWidget so it becomes very easy to embed Ogre on all platforms (Windows and Linux at least, don't know Mac). Originally posted in this thread. 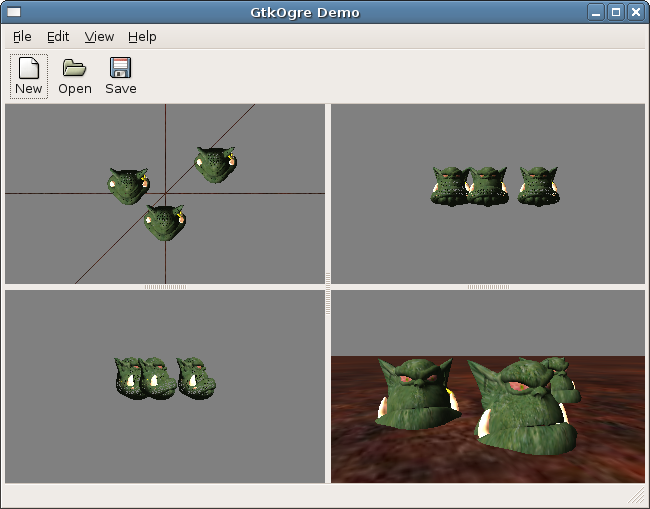 Supports multiple OGRE render windows. Fully tested on Linux. Windows support is possible, please see Ocelot's details here. Contributors to this page: jacmoe and Boost . Page last modified on Saturday 02 of January, 2010 21:07:41 GMT-0000 by jacmoe.